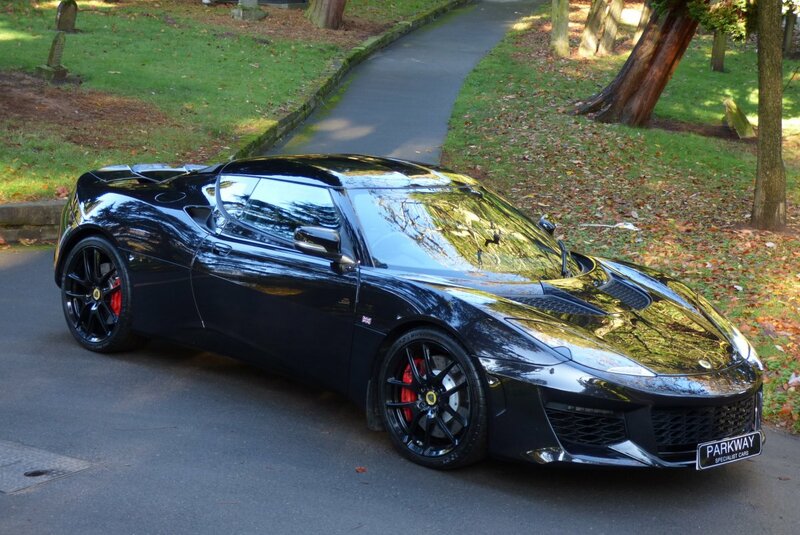 The Lotus Evora Started Development Back In 2006 Under The Code Name Project Eagle, With This All New Model Offered By The British Car Manufacturer At The July 2008 British International Motor Show. This Brand New Model Was Still To Follow Suit With Great Past Lotus Cars Of Yesteryear, Offering The Driver And Passenger An Exciting Driving Experience, That Was Still Capable To Thrill No Mater The Driving Conditions, But Now With A Longer Body Than The Elise, Was Considered By The Manufacturer To Be A More Practical Road Going Race Car That Would Appeal To The Mainstream Of New Buyers Into The Lotus Brand. 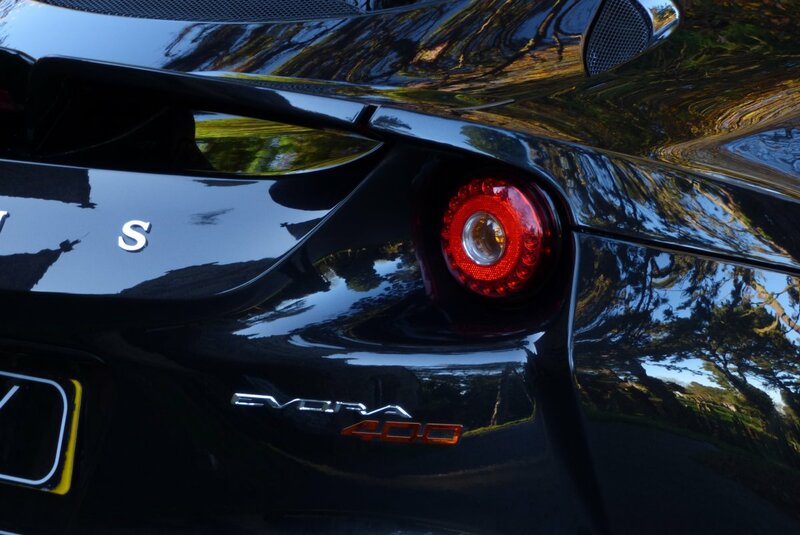 The Name "Evora" Was To Keep With The Lotus Traditions Of Beginning Model Names With The Letter "E", With The Evora Basically Meaning Evolution, Vogue and Aura, Which Suited This Exciting All New Lotus, So Very Well. 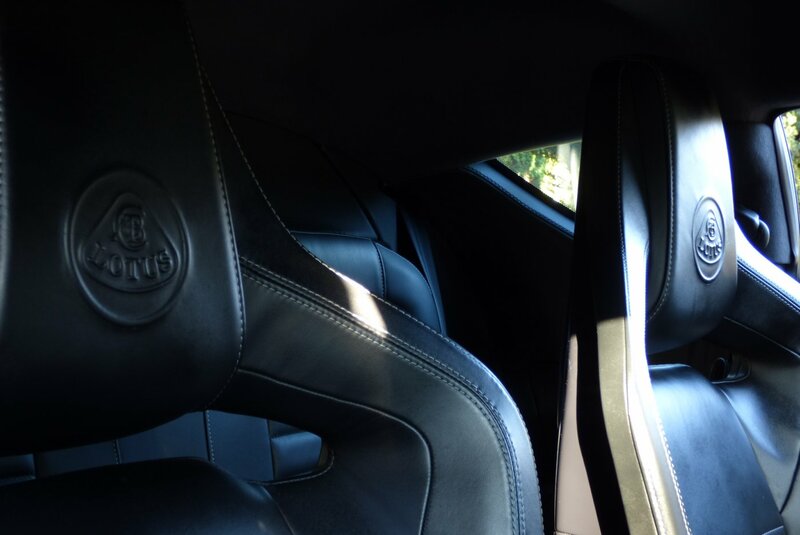 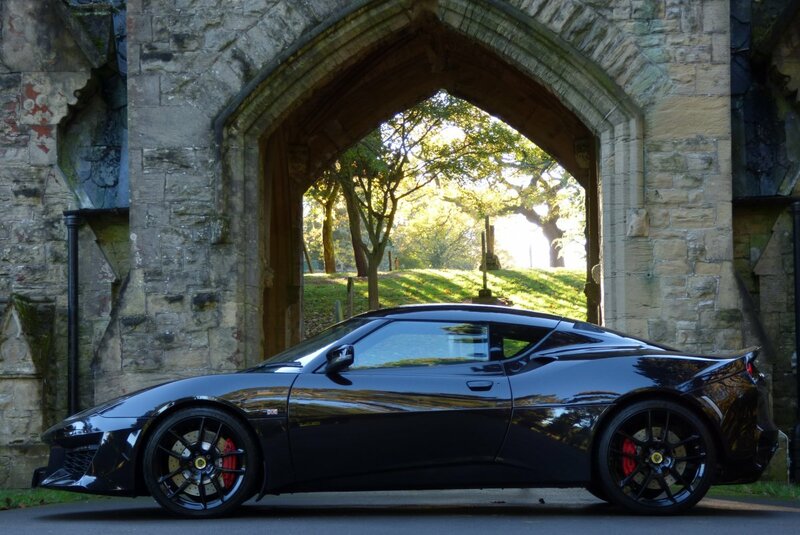 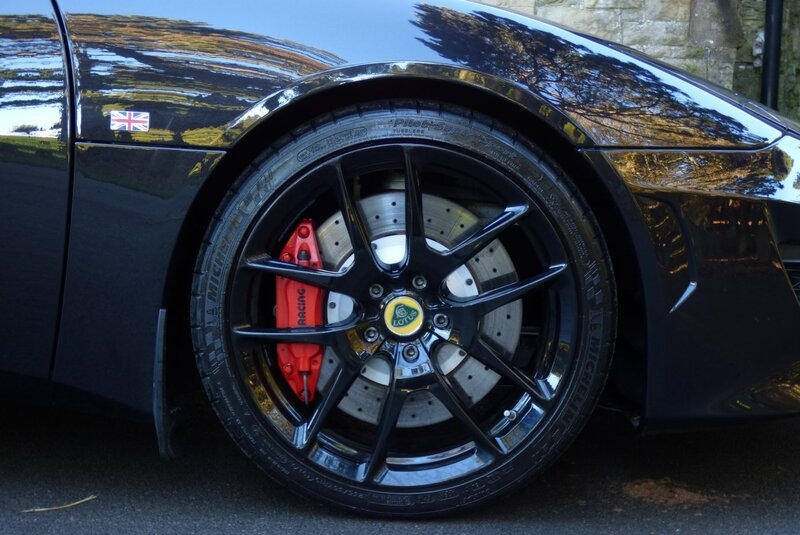 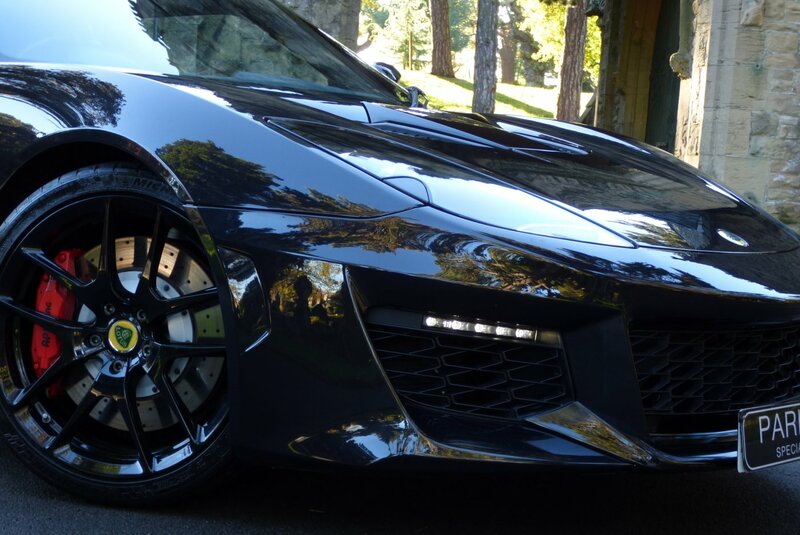 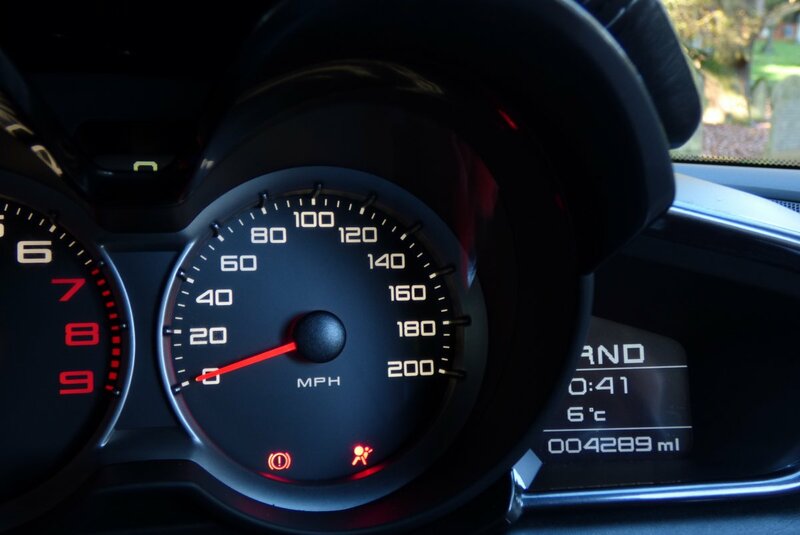 In 2015 At The Geneva Motor Show, Lotus Introduced The Evora 400, With The Name Making Reference To The Epic 400 Brake Horse Power Out Put And With A Total Weight Of Just 1,395 kg, Acceleration From 0-62 MPH Came In Just 4.1 Seconds And Offered The Driver And Passengers An Impressive Limited Top Speed Of 186 MPH. 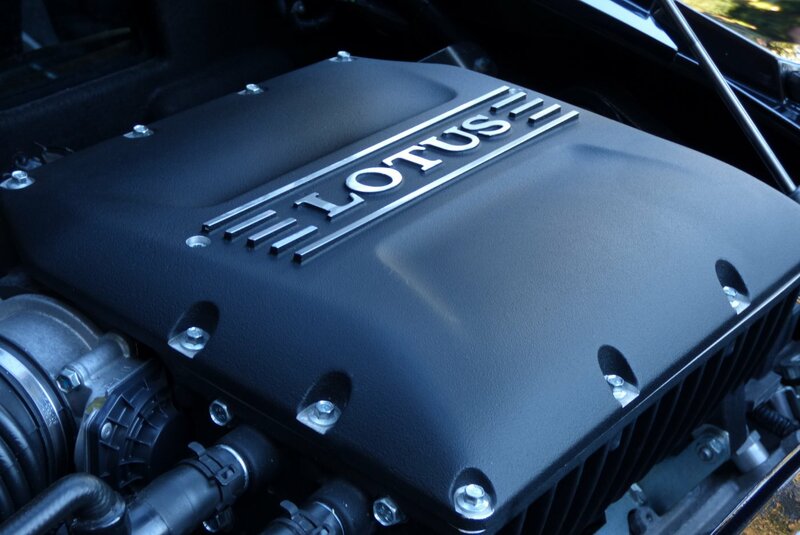 This Power Was Harnessed With An Aluminium Water Cooled Three And A Half Litre V6 Engine, With The Gents At The Factory Applying A Inter-Cooled Edelbrock Super Charger Unit Which Generated A Massive 302 lbft @ 3500 RPM And With The Introduction Of The New Aero Body Package, Has Meant That The Aerodynamic Down Force At 150 MPH Was Just 32kg. 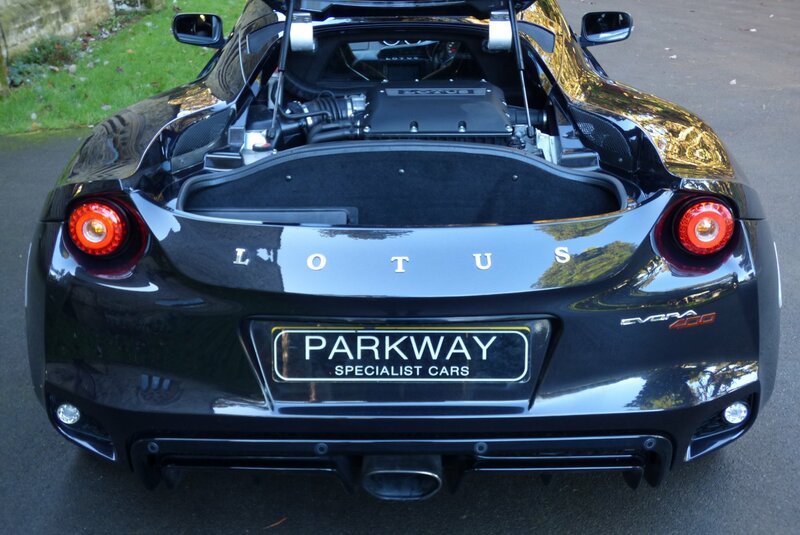 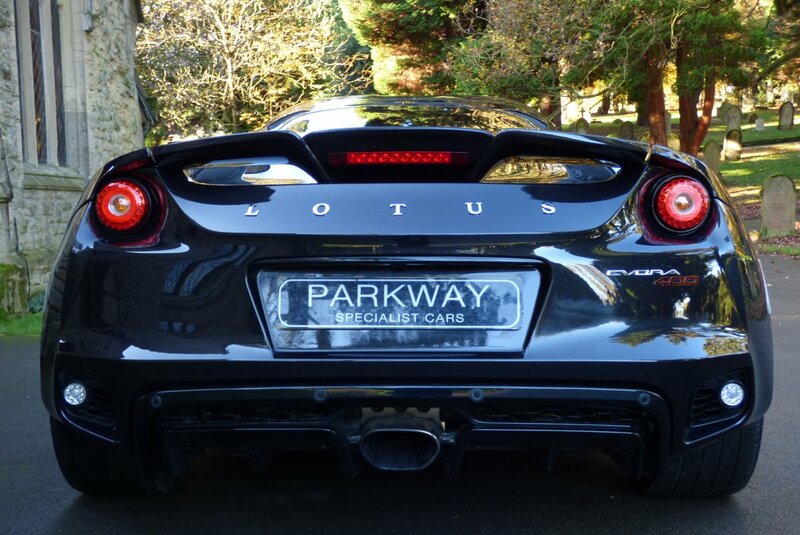 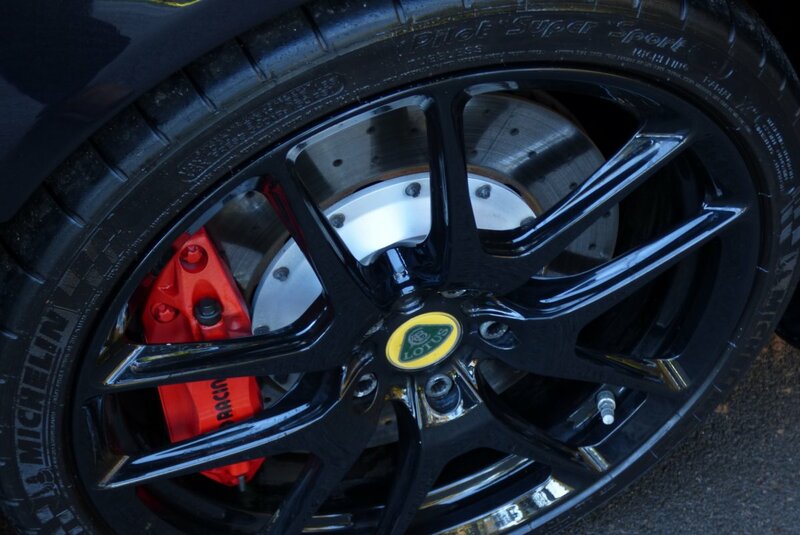 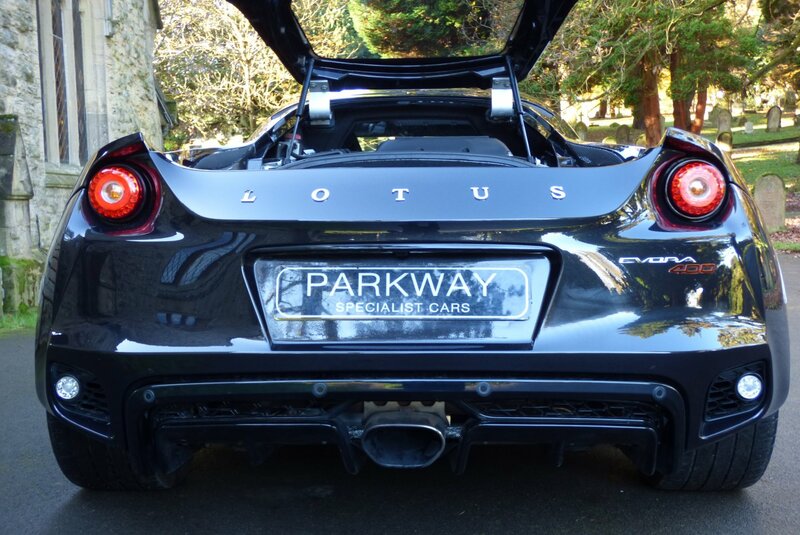 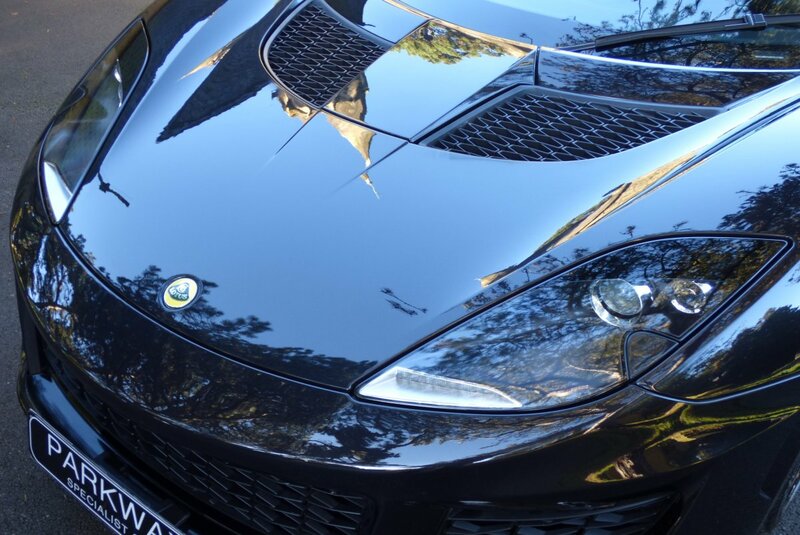 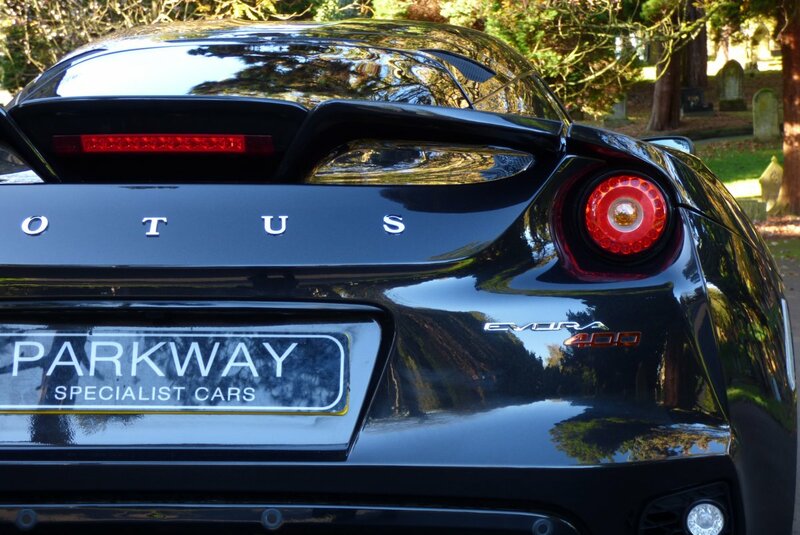 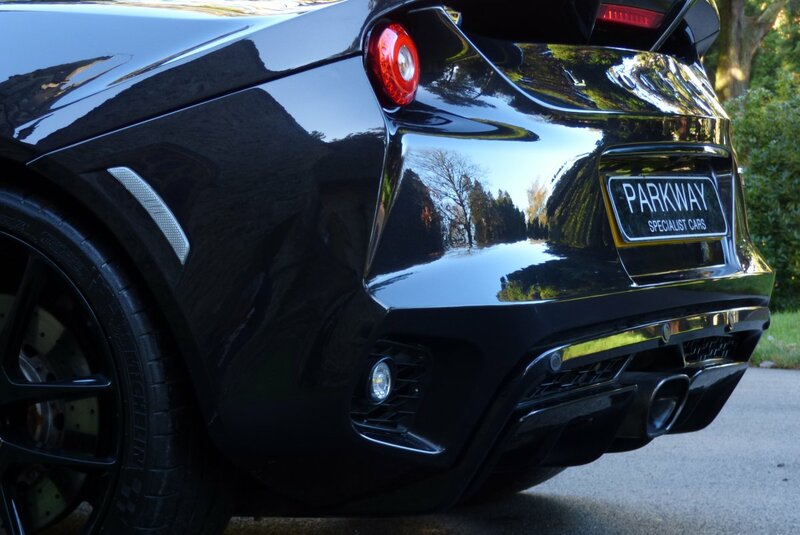 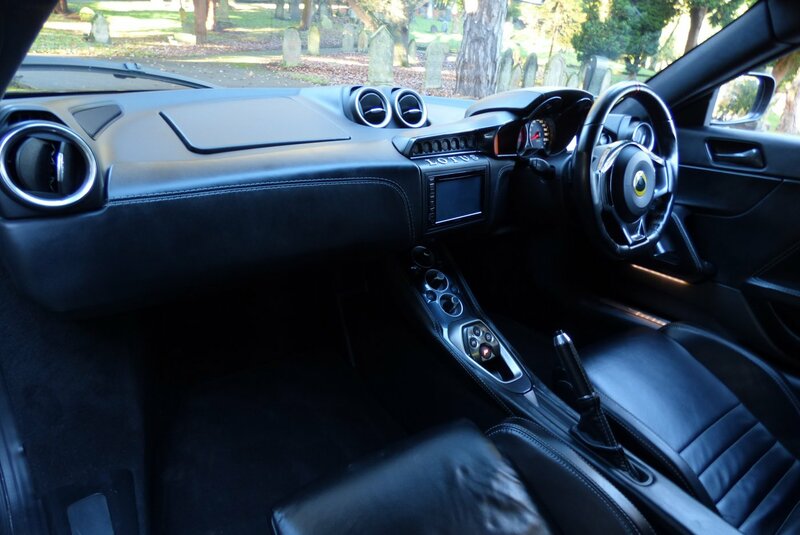 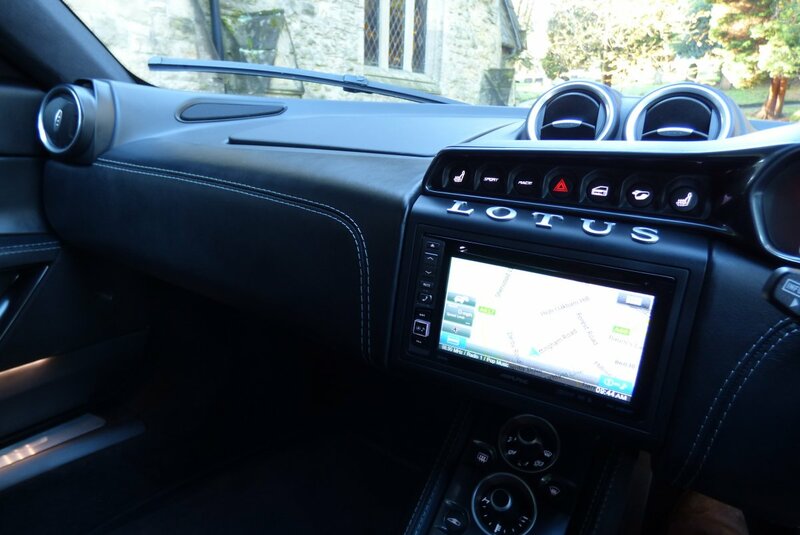 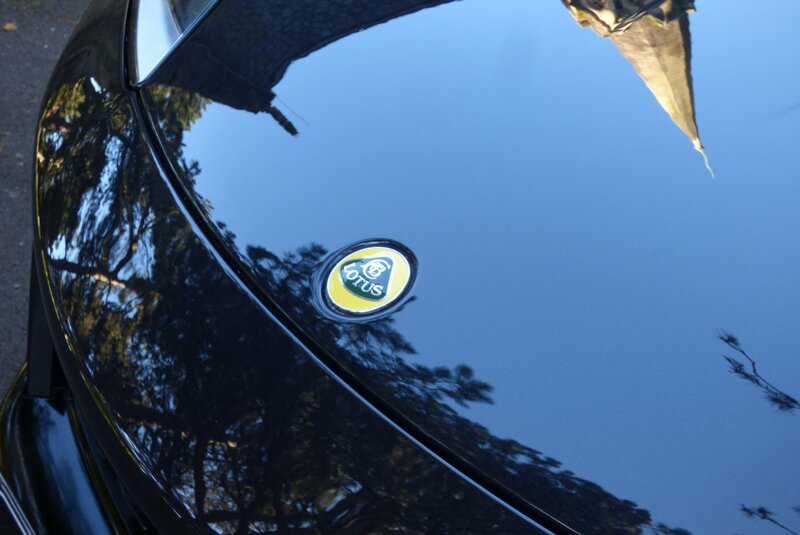 This Fabulous Example With An Excellent Array Of Lotus Factory Options Was First Supplied By The Lotus Factory In The July Of 2015 And Over The Last Two And A Half Years Minimal Miles Have Been Applied, However Regardless Of This The Vehicle Has Been Treated To An Extensive Past Lotus Service Inventory, With Past Historical Visits Logged At 2640 & 4107 Miles, With The Very Last Completed By Oakmere Lotus In October 2017.  Once Sold The Car Will Be Presented To The Next Lucky Custodian With The Entire Booklet Pack Set, A Fully Cleared Hpi Certificate, A Fully Functional Key Set And A Copy Of The Original Sales Brochure, For The Next Person To Keep And Cherish. 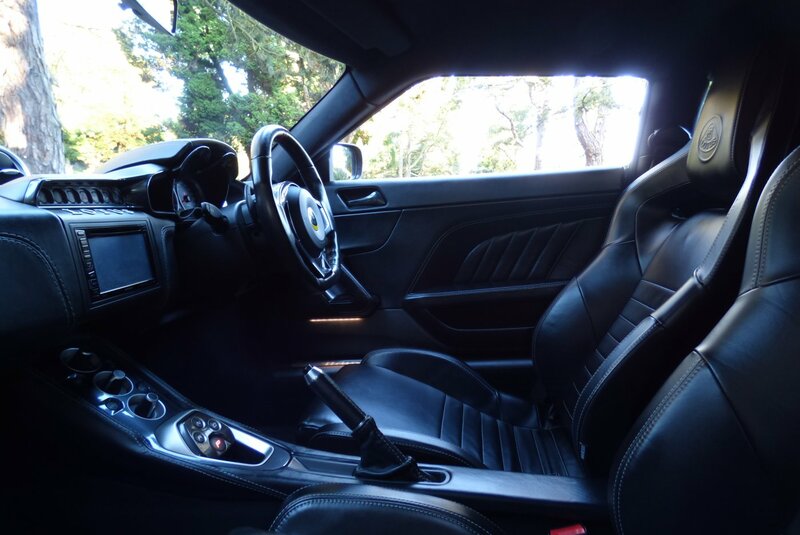 The Interior Offers The Perfect Collaboration Of Extreme Excitement, Yet Still Offering A Highly Comfortable Environment, Meaning That No Matter The Distance Of The Journey, Each Adventure Is Massively Rewarding. 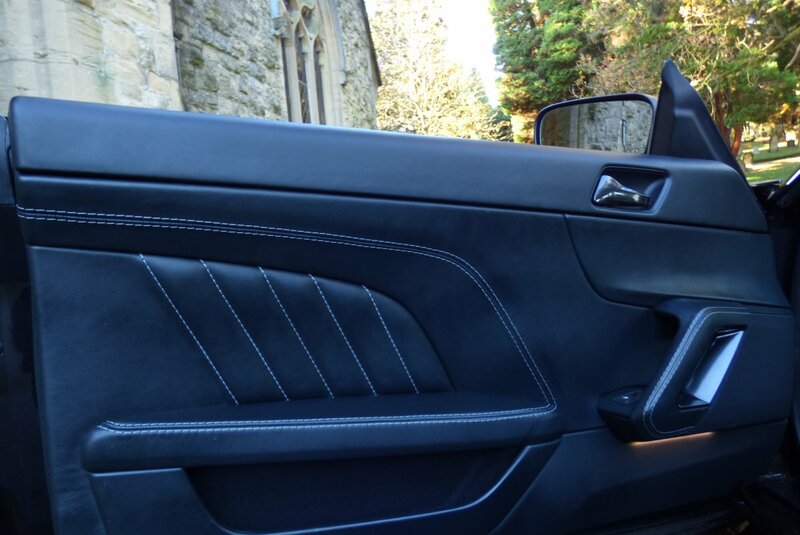 From Factory Our Perfect Example Was Opted With Hard Backed Shelled Lotus Embossed Leather Seating Beautifully Complemented With Silver Twin Needle Stitch Detail, Dark Grey Suede Roof Lining, The Black Leather Dash That Wraps Around This Dramatic Cabin, Leather Trimmed Door Cards Decorated With Silver Stitch, Premium Black Carpets And Finished With A Mixture Of Aluminium Metal Inlays With Matt Black Surrounds. 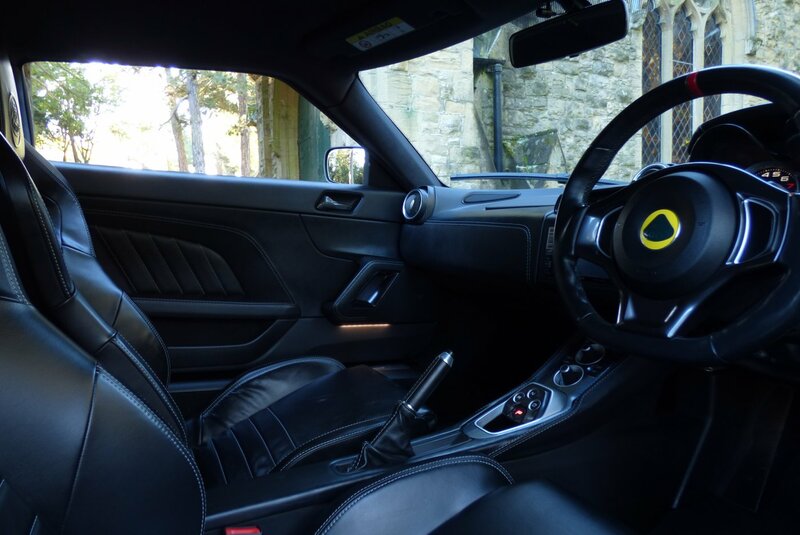 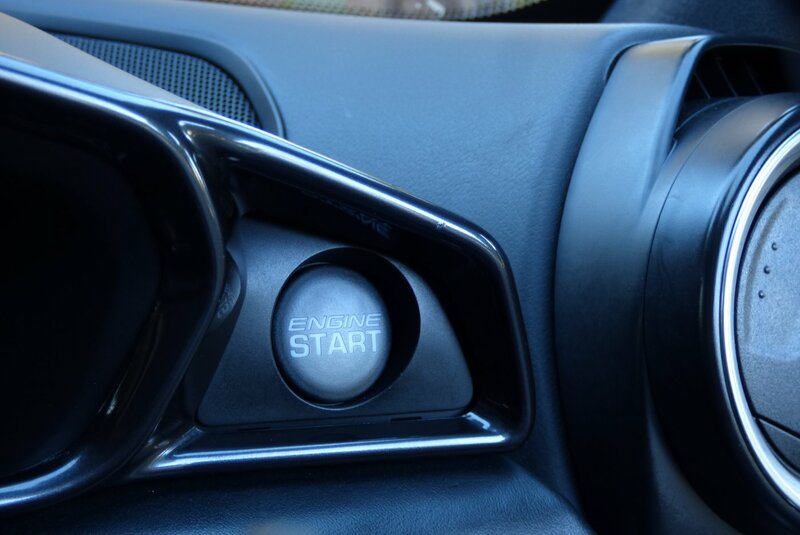 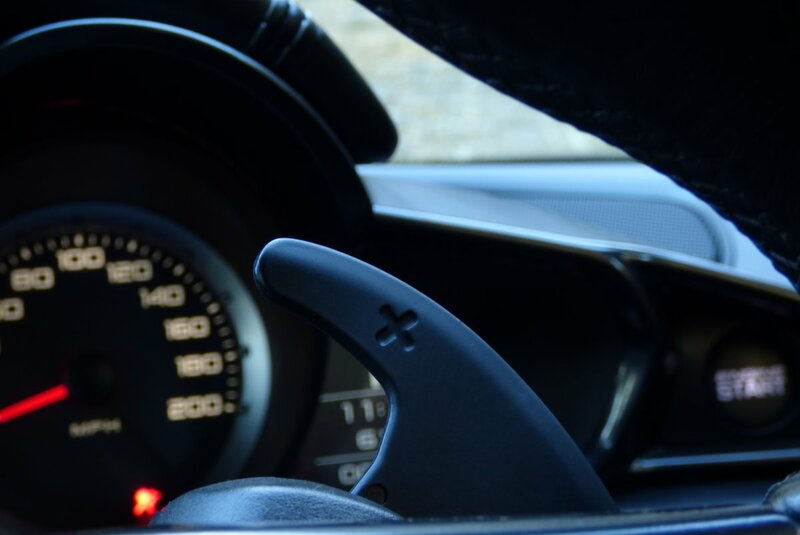 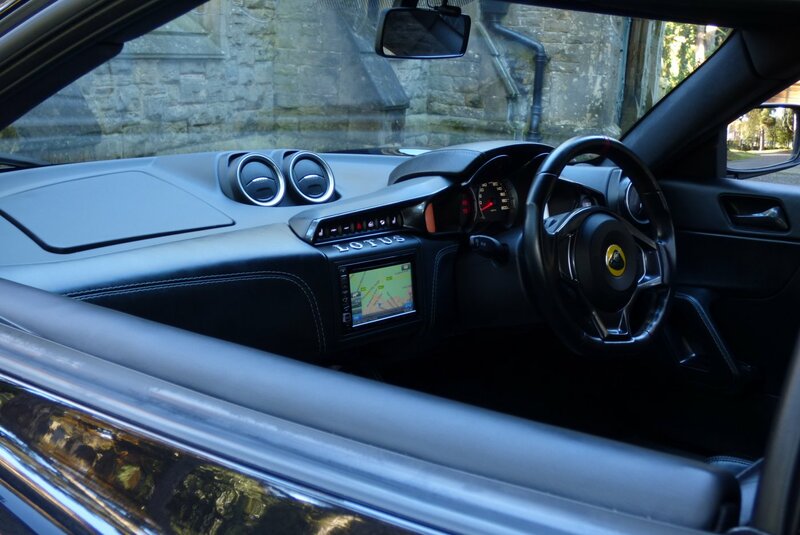 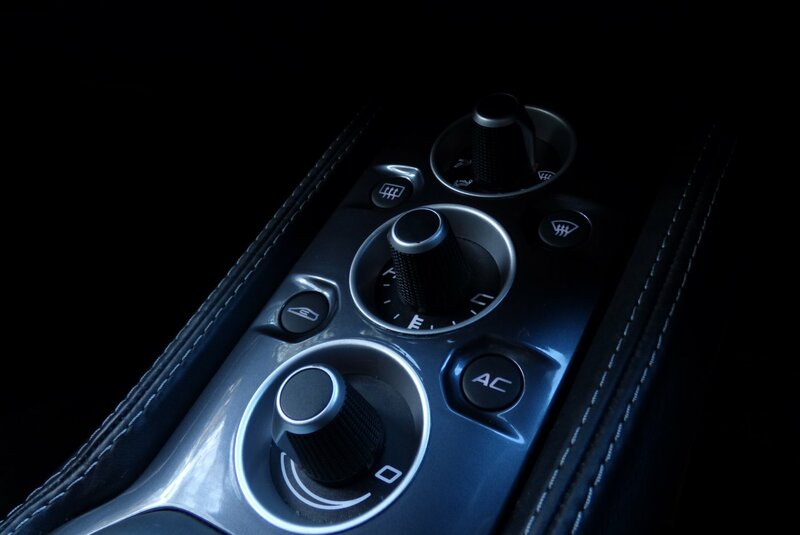 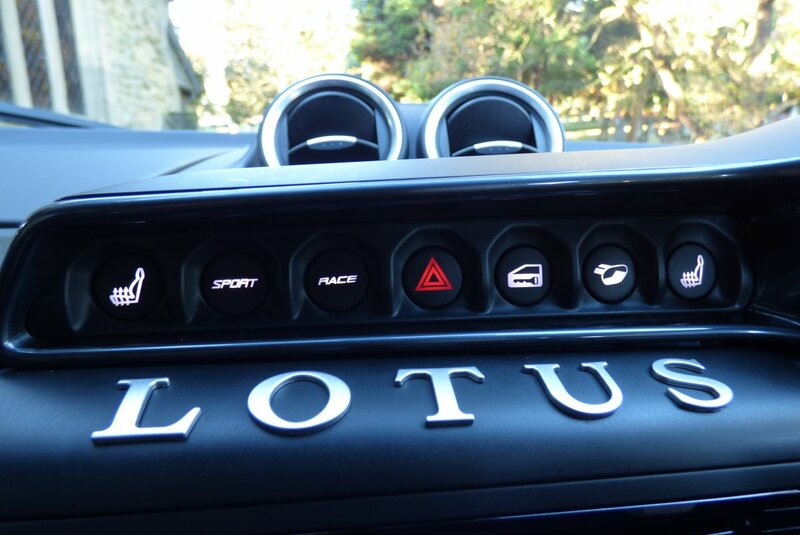 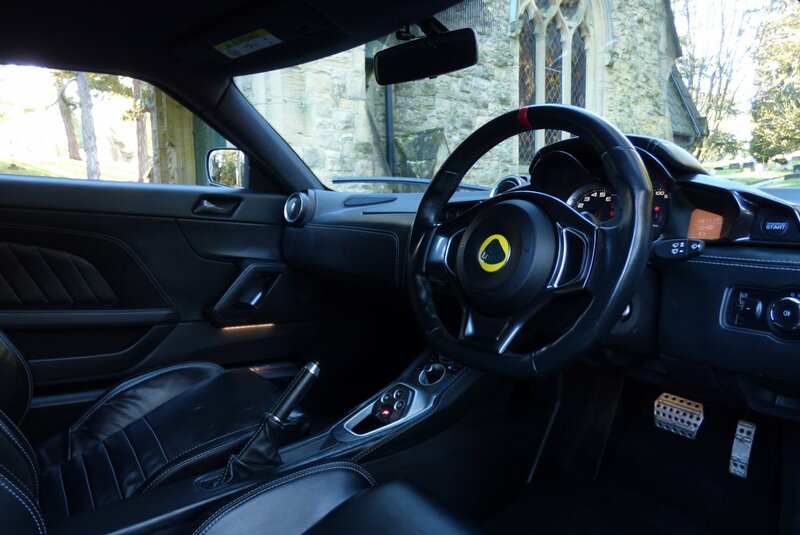 The Car Also Boasts An Excellent Array Of Lotus Technology, So Every Driving Condition Is Controlled And Pleasing, Time And Time Again. 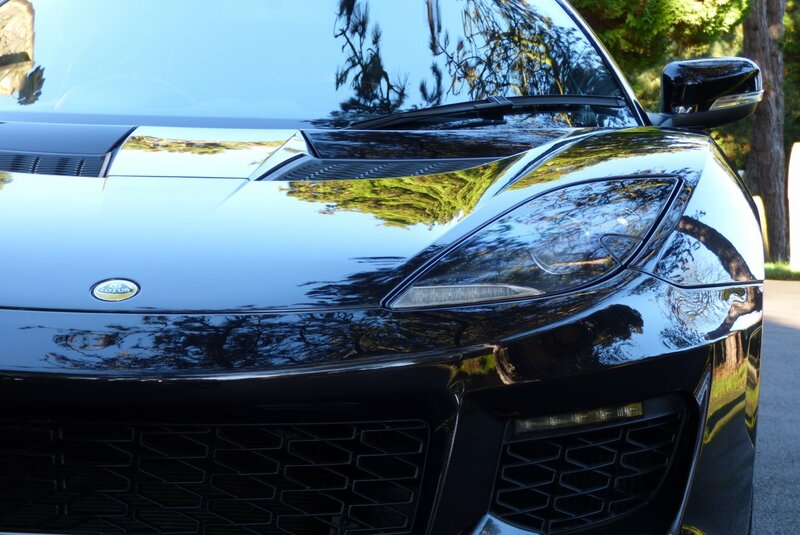 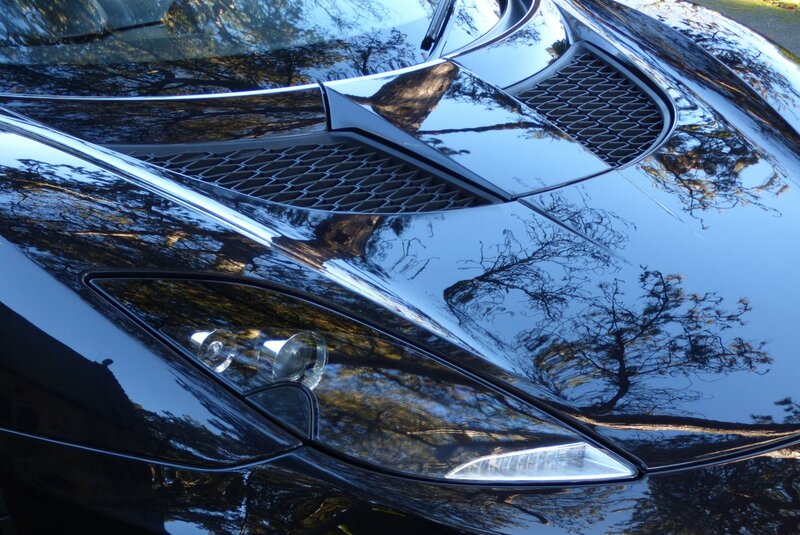 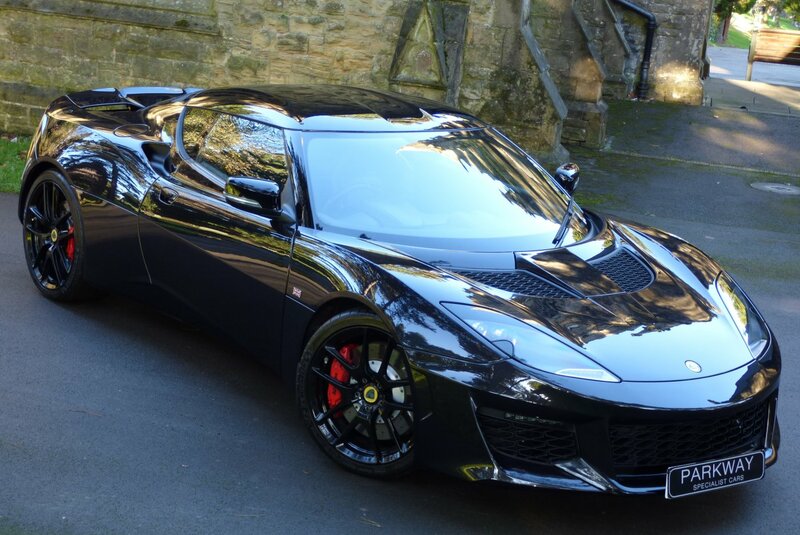 The Jaw Dropping Body Is Presented In The Metallic Black, With This Colour Finish Perfectly Demonstrating The Aggressive Exterior Curves And Distinctive Lotus Lines. 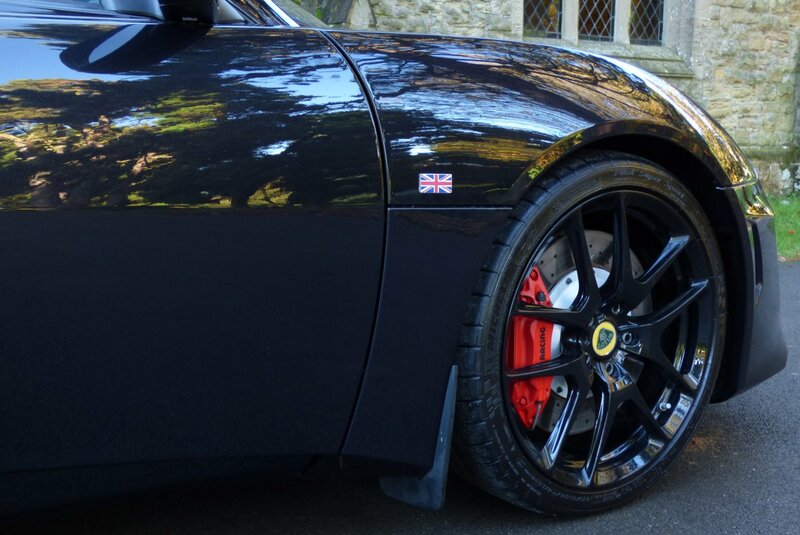 Further Exterior Enhancements Are Presented With The Optional Unmarked Gloss Black 19/20" Forged Multi Spoke Alloy Wheels Which All Sit On Branded Tyres, The Bright Red AP Racing Embossed Brake Calipers, The Sculptured Roof, The Single Oval Centred Exhaust Pipe, The Bronzed 400 Badge, The Lightweight Composite Rear Sport Diffuser, The Blackened Hexagon Front Vents And Grilles, The Three Element Rear Wing And Finished With The Now World Famous Lotus Motifs. 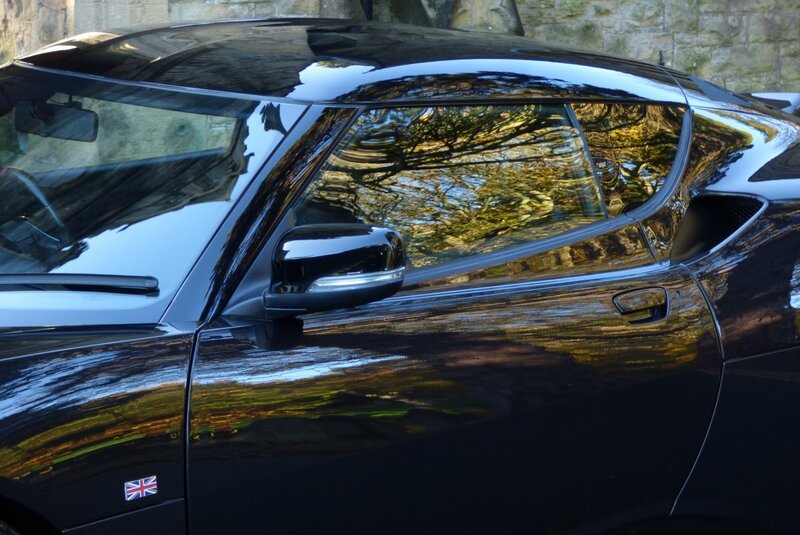 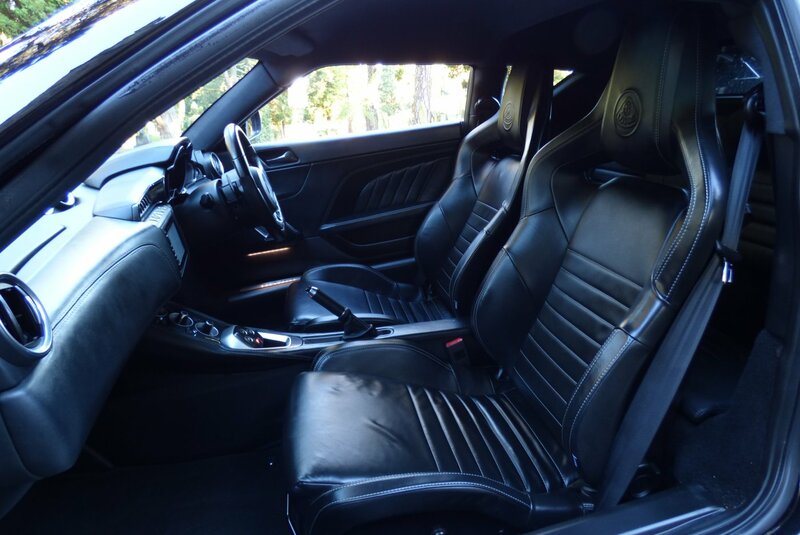 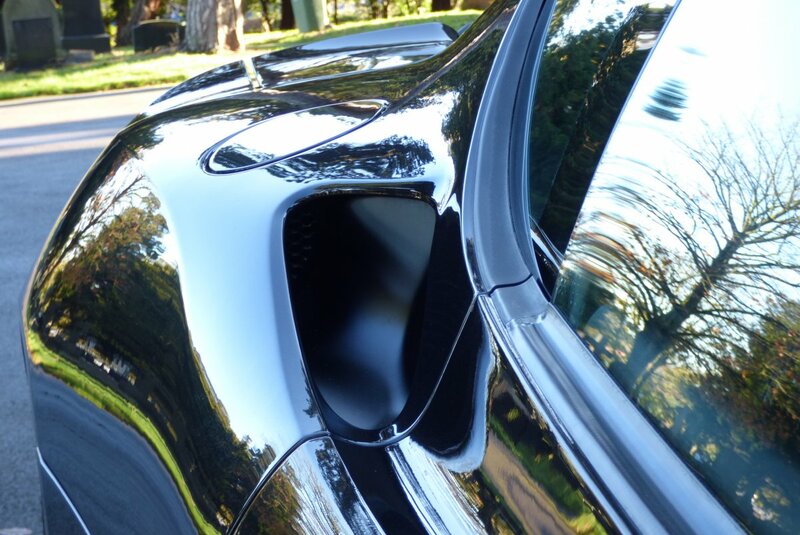 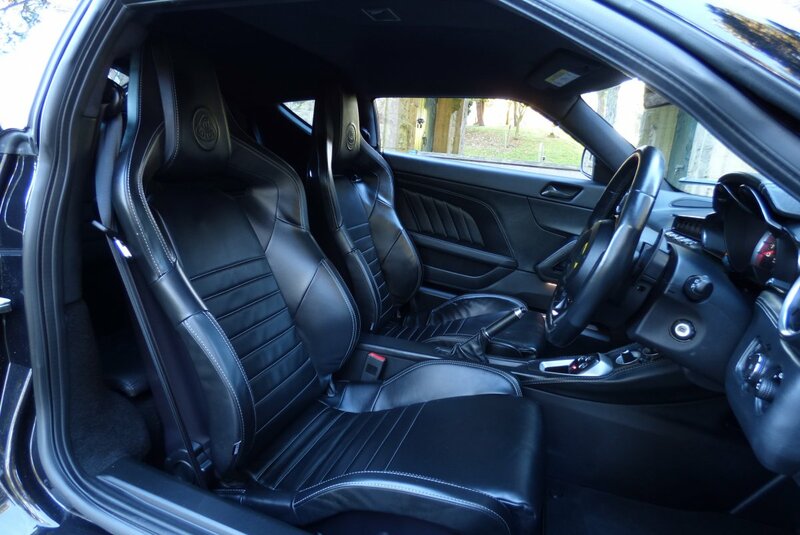 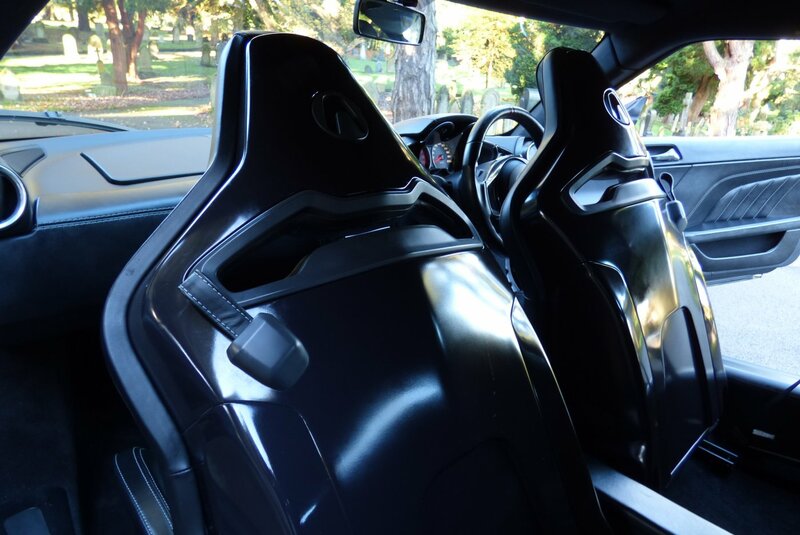 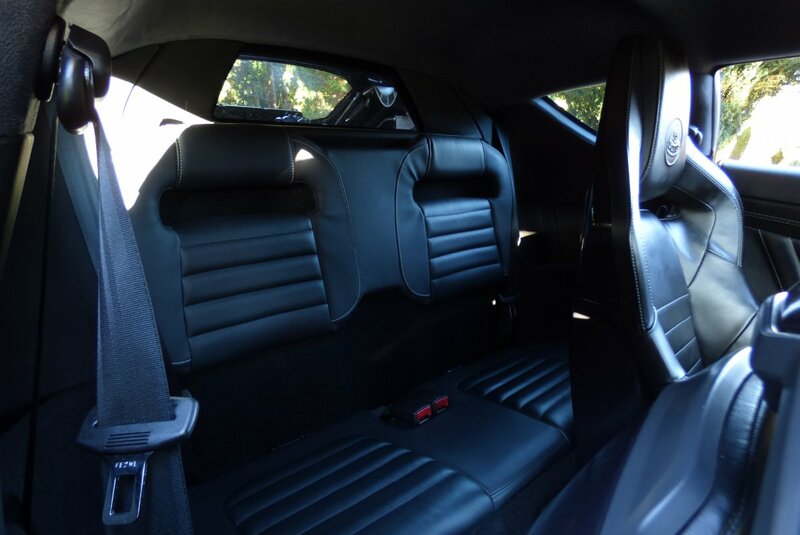 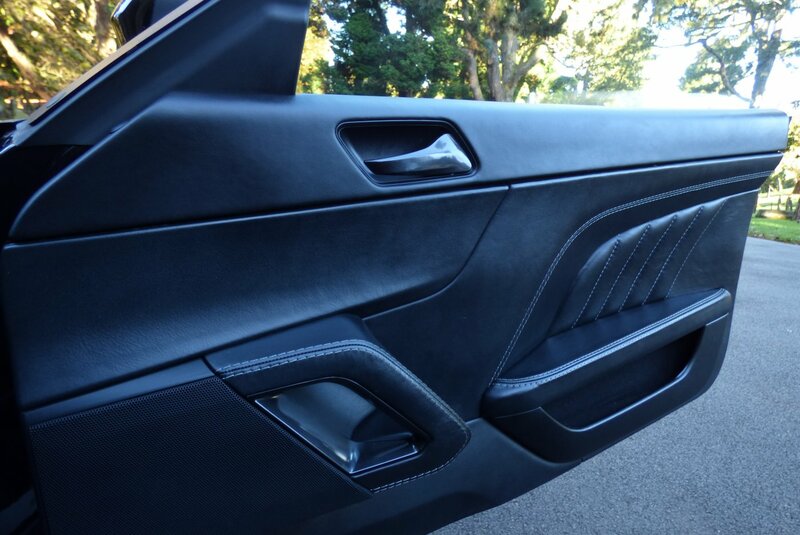 The Car Looks Stunning From Every Angle And Would Be Well Suited Alone Or As Part Of An Established Vehicle Collection. 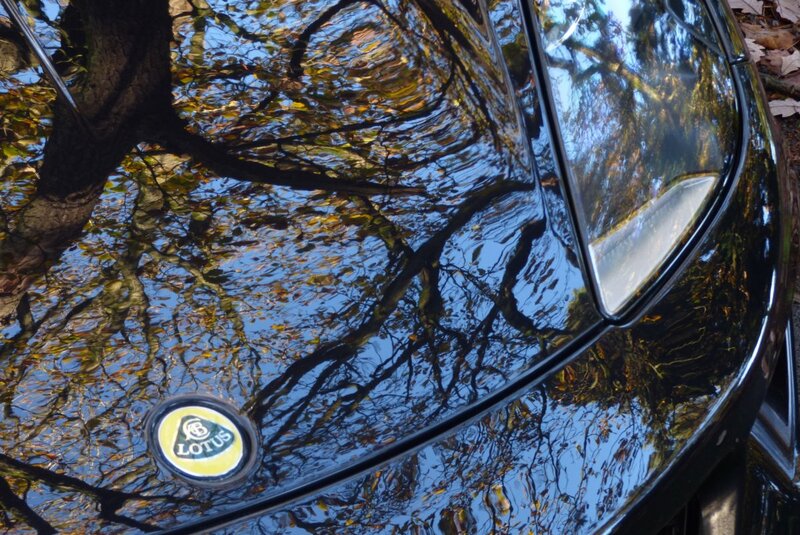 Perhaps One Of The Finest Enthusiast Drivers Cars Of All Time.. 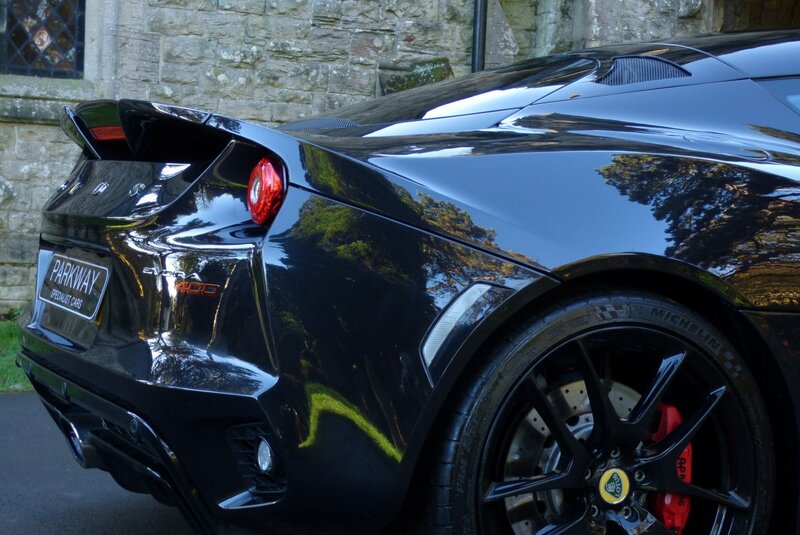 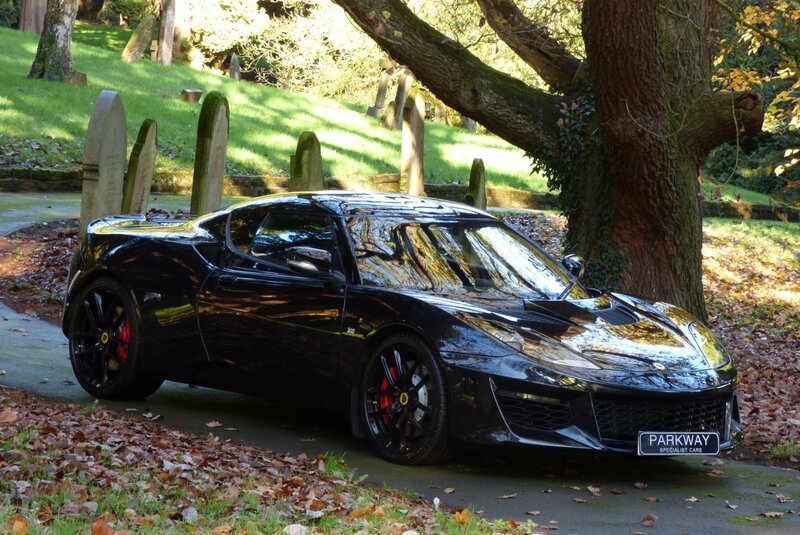 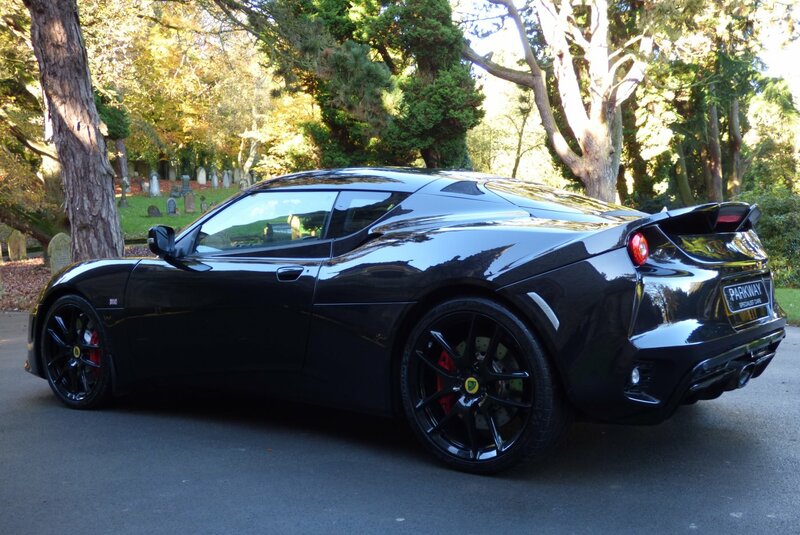 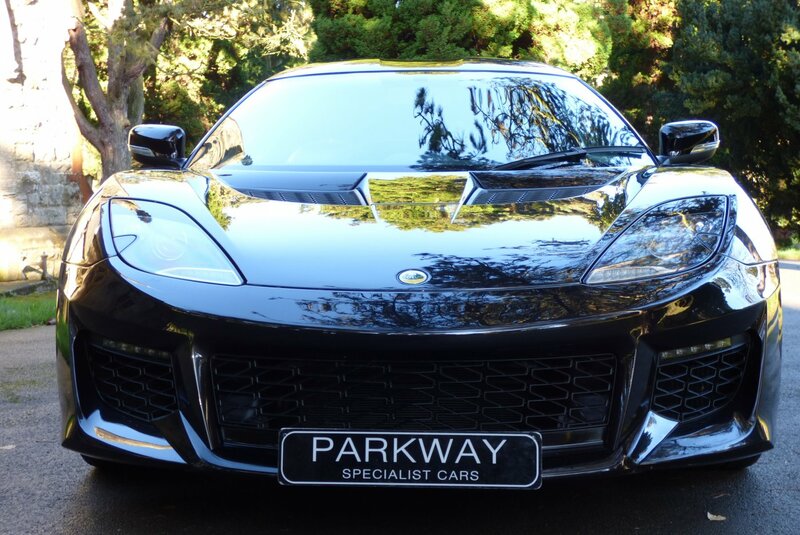 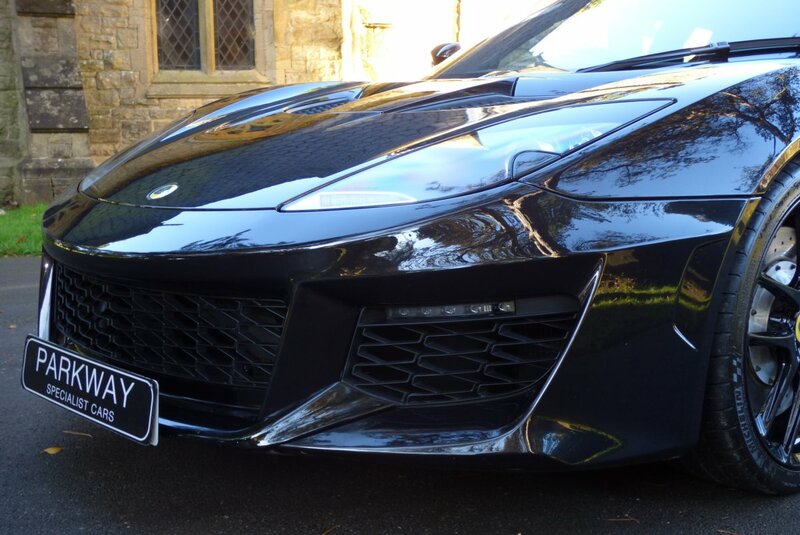 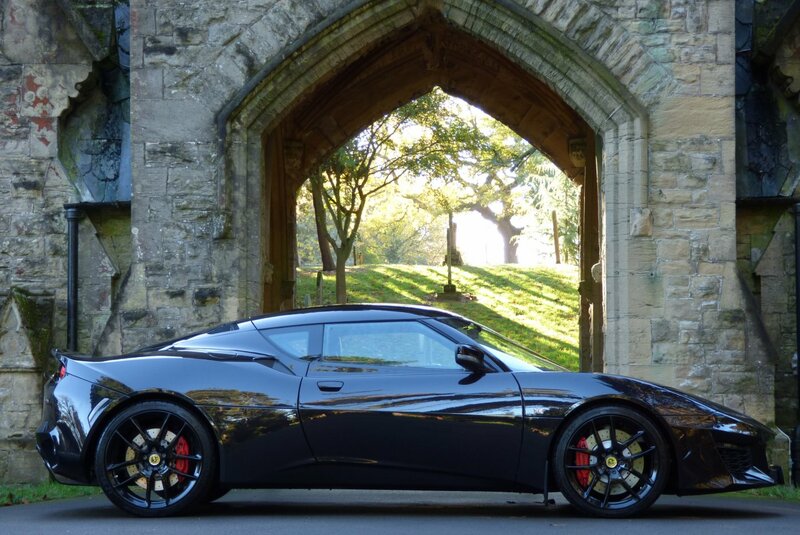 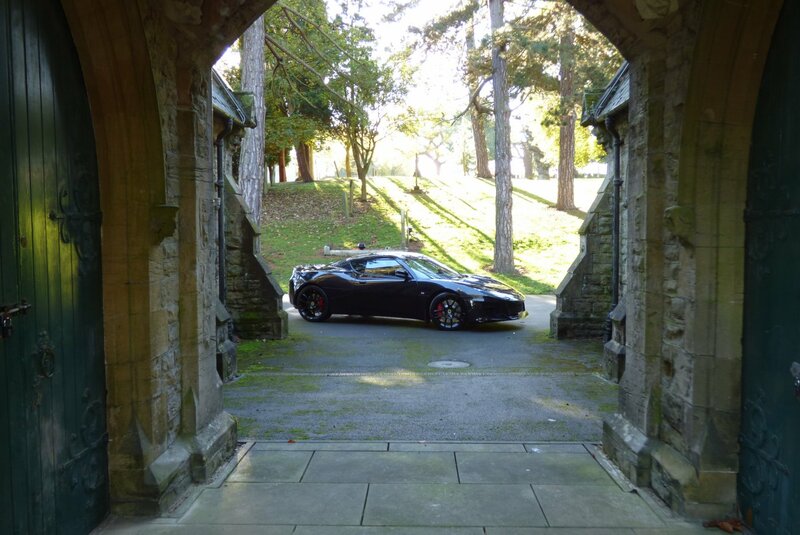 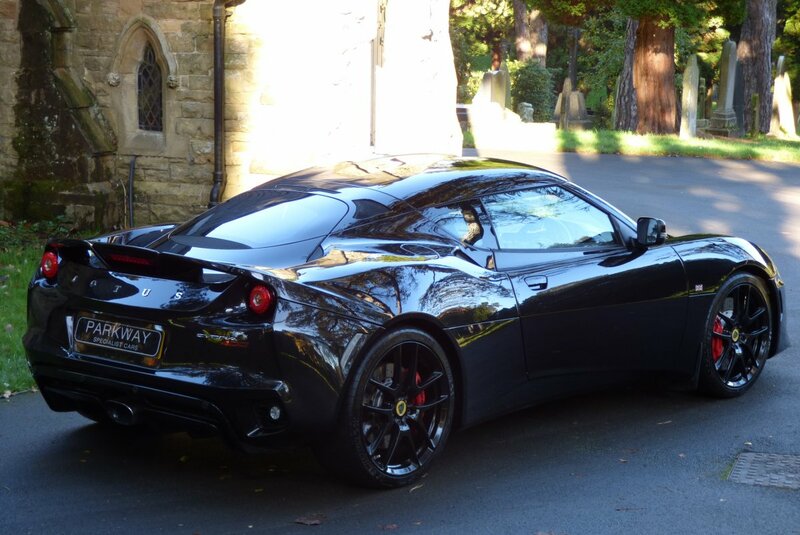 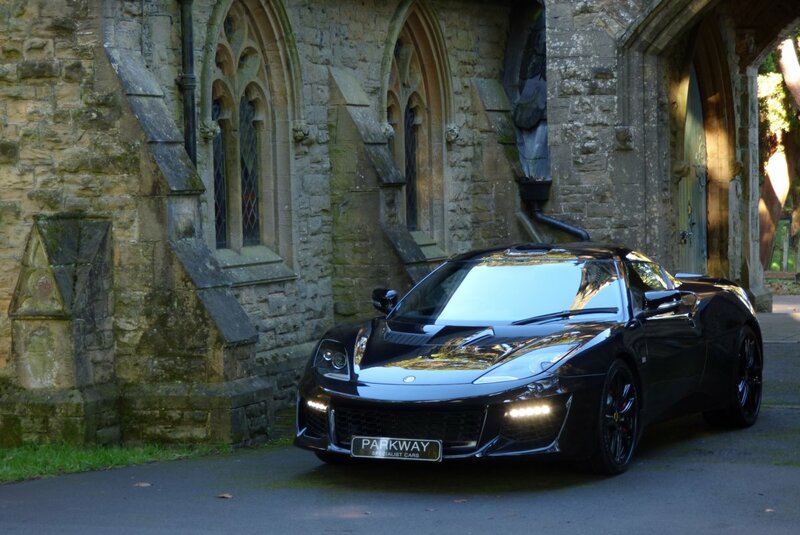 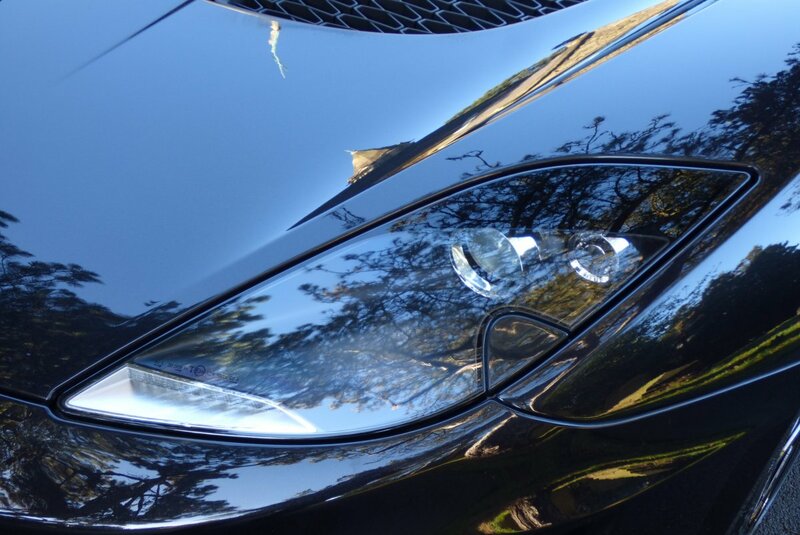 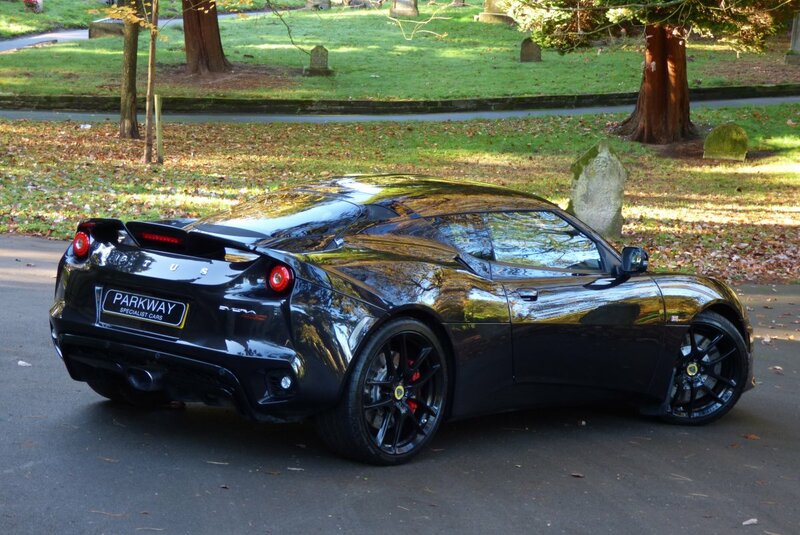 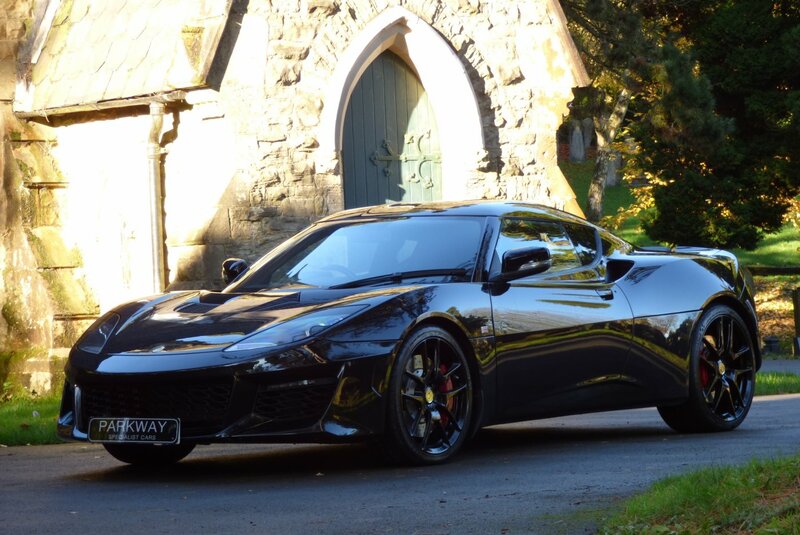 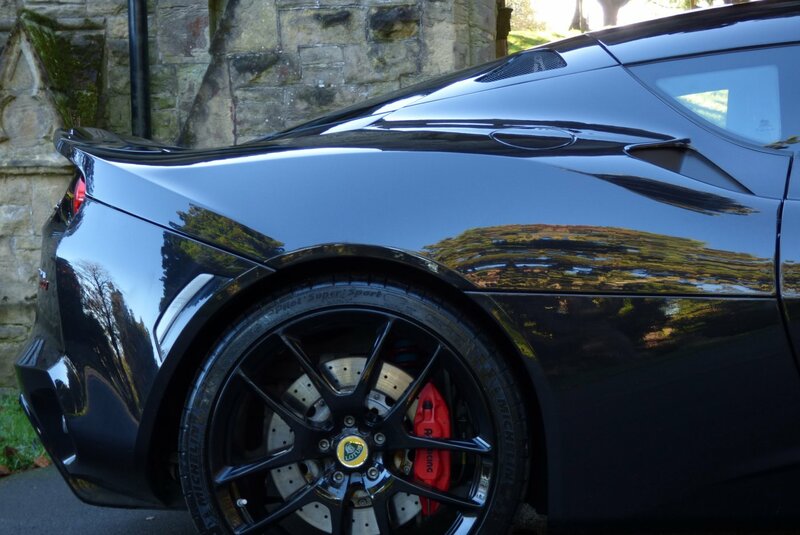 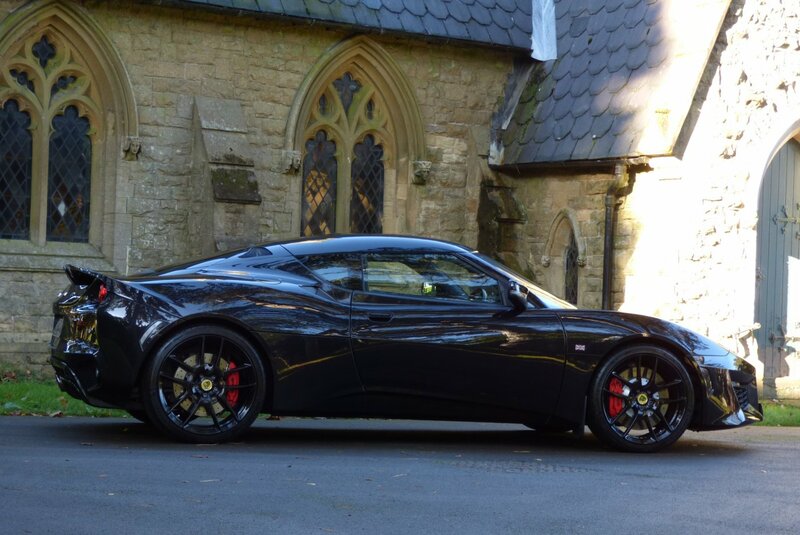 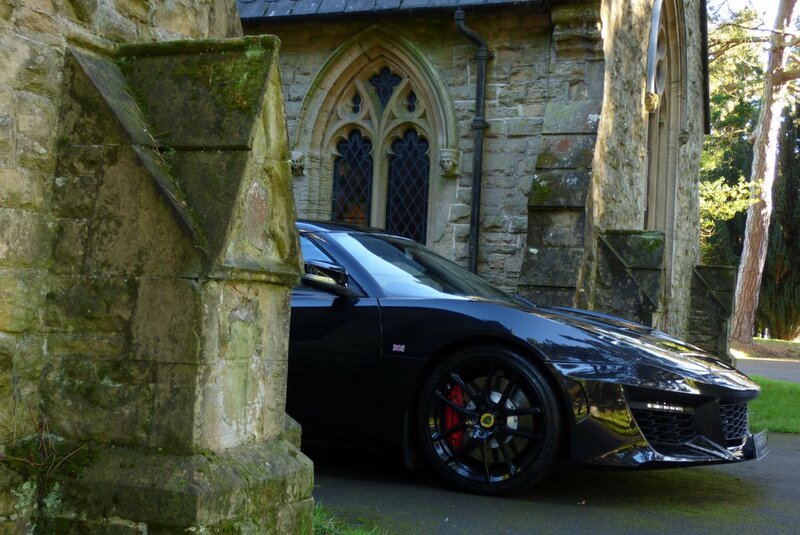 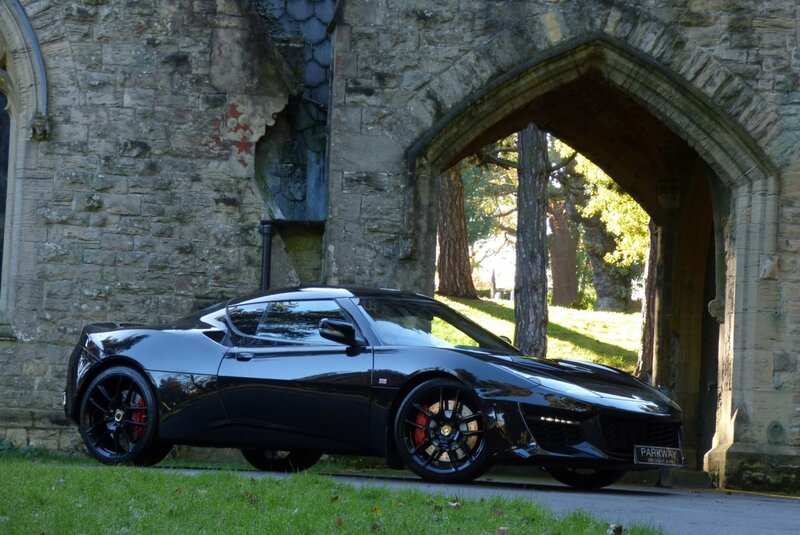 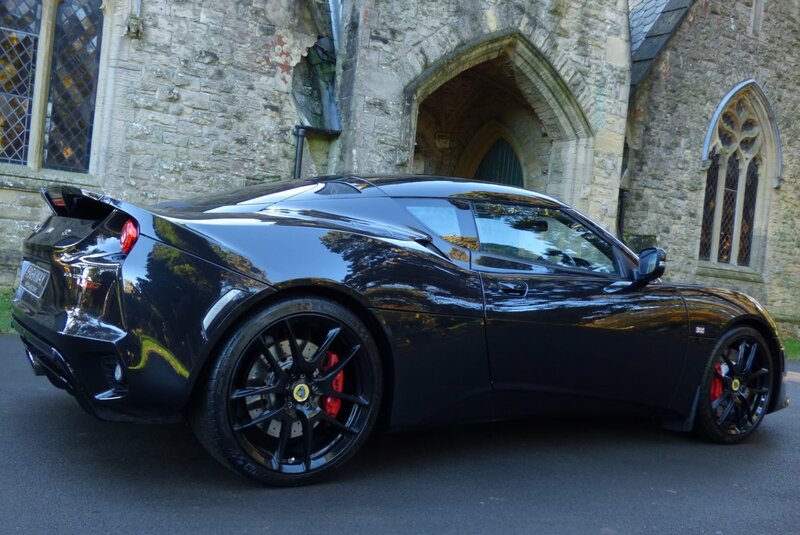 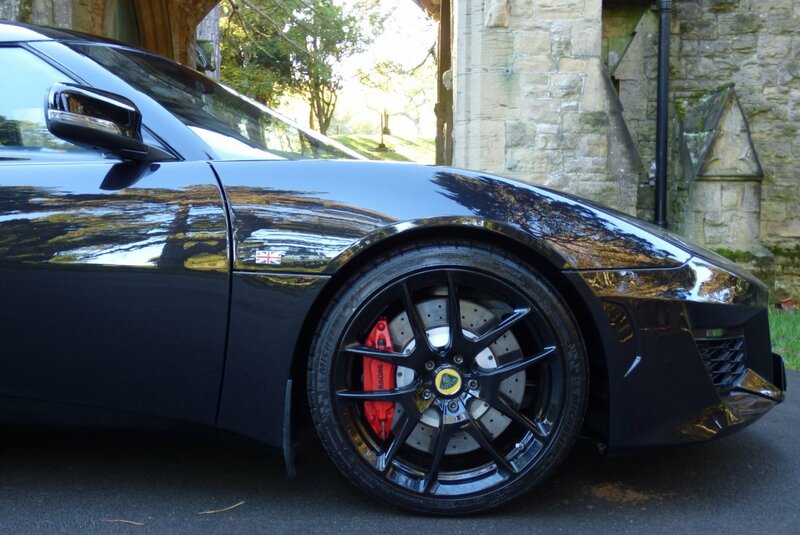 This Excellent Evora 400 Comes With An Excellent Specification From Factory To Include The Full Colour Information Screen With Satellite Navigation System, Gloss Black 19" / 20" Forged Multi Spoke Alloy Wheels, Air Conditioning, Single Oval Exhaust System With Variable Settings, The Three Spoke Leather Bound Steering Wheel With Paddle Shift, Xenon Headlights With Power Wash Function, Rear Park Distance Control, Aluminium Evora Embossed Interior Sill Kick Plates, Lotus Steel Pedal Set, Variable Heated Front Seating, Lotus Trip Computer, Daytime Running Lights, Sport & Race Functions, Electric Folding Mirrors, Push Button Engine Start, Bright Red AP Racing Embossed Brake Calipers, Reversing Camera, Remote Central Locking With Alarm, 2+2 Seating Configuration, The Optional Six Speed Automatic Transmission And So Much More. 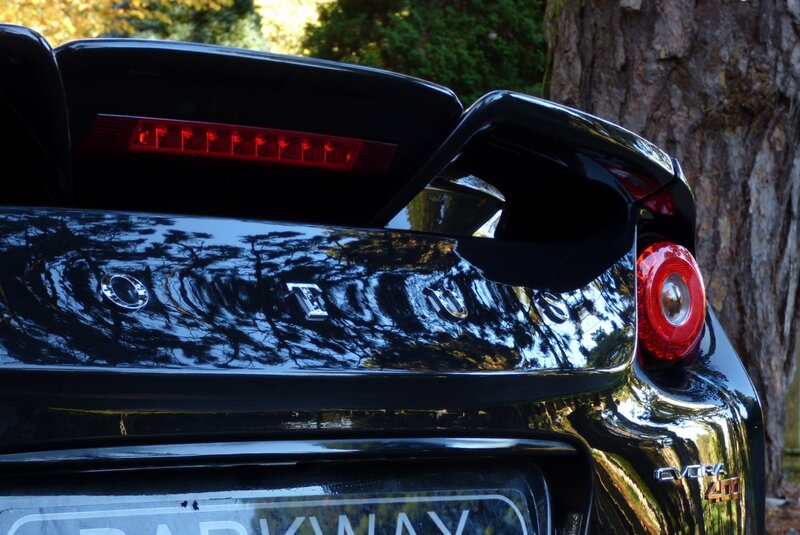 Offered With The Entire Booklet Pack Set, A Fully Cleared Hpi Report And The Entire Key Set. 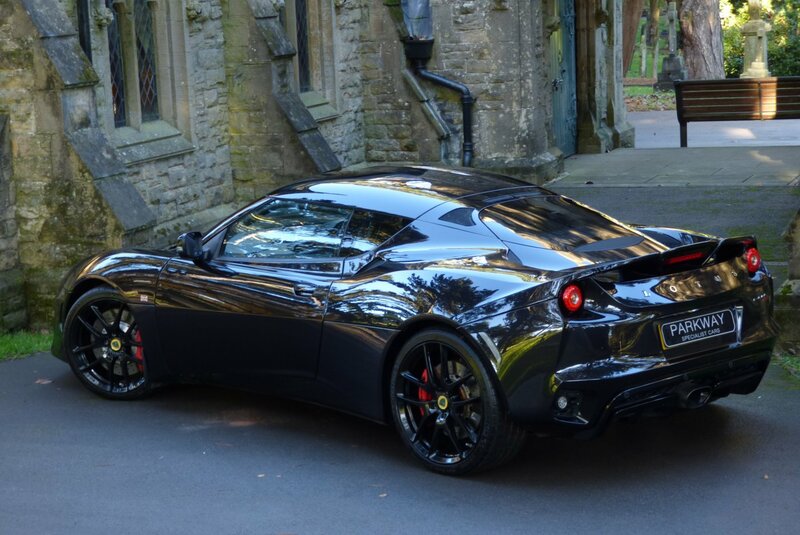 0-62MPH In 4.1 Seconds - A Top Speed Of 186 MPH.